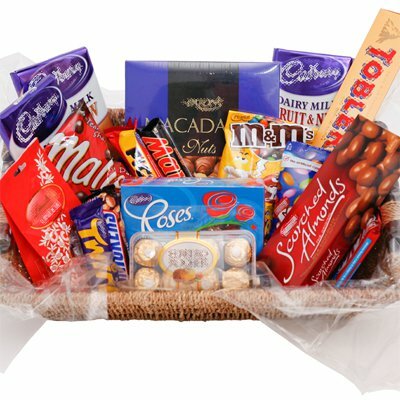 Beautifull sweet hampers make great gifts for anyone with a sweet tooth. With a florist choice gift wrapped bouquet of mixed flowers. Just one click ! We will do the rest.